There is a massive wave of people getting ready to retire in the next few years. Many are expected to retire before they reach age 65. 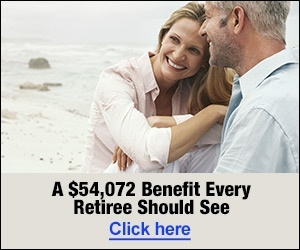 Sounds like a nice idea but how are all these people able to afford to retire early? 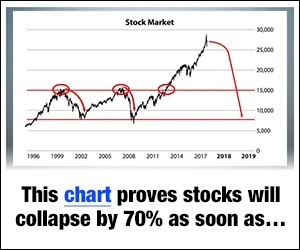 By law they aren’t allowed to take money out of any of their individual retirement accounts until age 59 ½ without incurring a 10% penalty from the IRS. I’ve found out secret IRS loopholes that allow ANYONE to take money out of their individual retirement accounts before age 59 ½ without being charged the 10% penalty! I know this sounds too good to be true but it’s not! It’s all perfectly legal and the IRS spells out how to do it in the tax code. Before now these loopholes were just too hard to find in the crazy tax code. Read on to find out how you can take out money from your retirement accounts with no fees or penalties. 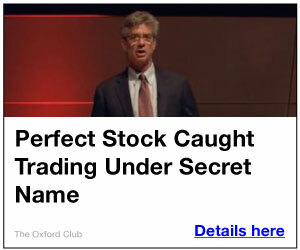 Let me start with one tax secret a number of us ARE aware of. Uncle Sam will let you use money set aside for retirement to purchase your first home. That means you and anyone you’re buying the home with cannot of owned a principal residence in the two previous years. The IRS allows you to withdraw a lifetime maximum of $10,000 for this purpose. Even better is the fact that if both you and your spouse are first time home buyers, the IRS allows each of you to take out $10,000 to put towards a down payment. In fact, the IRS will even allow you to give money to your children, grandchildren or parents to buy their first home. But be careful to not withdraw the money for a new home purchase from your IRA too soon. The IRS specifies you must use the funds within 120 days of withdrawal. Miss the deadline and you’ll be subject to the 10% penalty. Under IRS Loophole 97-60 you can pay for higher education using money from your IRA without being hit by the 10% penalty. Everyone knows how expensive college is. Costs rise each year and it can be hard to save up enough to pay tuition, room and board, books, lab fees, etc. Thankfully, the IRS allows you to withdraw funds to pay for post-secondary education. You can attend any college, university, or vocational school no matter if it is public or private as long as it is accredited. You can also withdraw money to send your spouse, children or grandchildren to college penalty-free. Then there are the allowable, but not preferable reasons for taking early distributions. The IRS allows IRA owners who are facing medical and/or financial hardships to dip into their retirement funds without penalty. If the IRA owner becomes permanently disabled you can take early distributions without incurring the 10% penalty. In the event that the IRA owner dies before they reach age 59 ½ the beneficiaries won’t be hit with the 10% penalty when they withdraw the funds. Out of a job? The IRS will allow you to pay your healthcare premiums from your retirement funds without penalty provided you’ve been unemployed for longer than twelve weeks. And if you are seriously injured or become ill with something that requires lengthy or costly medical treatment you can get around having to pay the early withdrawal penalty as long as the medical expenses you incur are in excess of 7.5% of your adjusted gross income. The last four reasons for taking an early distribution are only in the event of a great hardship. 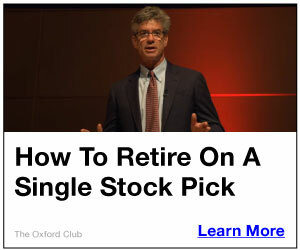 None of which you would ever want to happen in order to withdraw money from your retirement funds. However, there is one more way to take advantage of the system that does not involve personal tragedy or financial ruin. It is known as IRS code 72 (t) or Substantially Equal Period Payments, SEPP. This type of early distribution allows you to withdraw funds for any reason from your IRA at any point in your life as long as the amounts are determined by a life expectancy conversion regulated by the IRS. If you choose this method of early distribution the IRS will offer you three options to determine your payout. The three options are all based on your age, the amount of money you have, the % rate used for the calculation and how long the IRS expects you to live. All three methods; the required minimum distribution method, the fixed amortization method, and the fixed annuitization method, are extremely complex and should be calculated with the help of an experienced professional. However, there is a caveat to this early distribution allowance. The biggest problem with it is that you may not be able to withdraw as much money as you want to. For example, the required minimum distribution method typically only allows you to withdraw 2-3% of your total IRA balance each year, depending upon your age. The other two methods will give you slightly higher payouts but only IRA owners with relatively large nest eggs would benefit from such a small percentage. In addition, the 72 (t) early distribution method requires you to continue taking payments for at least five years or until you reach age 59 ½, whichever is LONGER. That’s right, I said longer not shorter. If after five years you no longer need the money you can’t stop taking withdrawals until you reach age 59 ½. For example, if you start a 72 (t) at the age of 50, you cannot stop taking withdrawals for 9 and ½ years. If you are age 55, then it runs until you reach age 60. I would like to note that while all of these early distribution methods will allow you to avoid paying the 10% penalty fee you will still have to pay tax on the money you withdraw. You should make every effort to avoid taking money out of your retirement accounts if you are young. By withdrawing money at an early stage in your life, you will miss out on decades of tax free compounding which can add up to hundreds of thousands of dollars.